The Immune System - Features | W. W. Norton & Company Ltd. The guiding principle of The Immune System is a focus on human immune systems, how they work and how their successes, compromises and failures affect the daily life of every one of us. Medical examples are presented in an engaging manner and effectively demonstrate important concepts. The text features an outstanding full-colour art programme including line drawings, micrographs and photographs. The art programme, using distinct and consistent iconography, is designed to enhance and extend the concepts and principles presented in the text without excessive detail. Many phenomena that were unclear while writing the Third Edition are now understood, and as a result, the Fourth Edition was substantially revised to reflect the advances in the field. 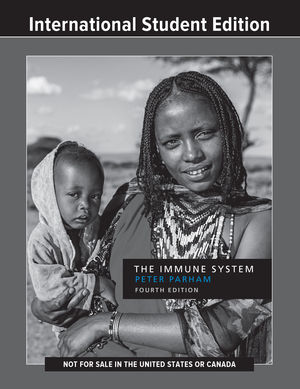 To maintain the clarity of writing that is a hallmark of The Immune System, the book has been reorganised to better present our understanding of immune system function.